1. 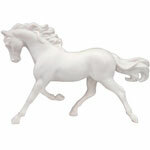 Decide on a theme and a story for your Painted Pony. Will it be a serious subject? 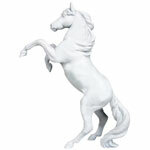 Would you like your Painted Pony to reflect the traditions of Native Americans or the American West? Will it be inspirational, patriotic or historic? Are you going to add any other decorations to your horse? Will it be the same on both sides or will there be a different design on each side? Keep in mind you are working in the round, so you must think in 360 degrees. 2. 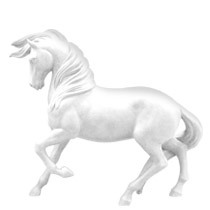 You may download any one of the nine Painted Ponies forms, which are featured below. 3. Draw your design on paper first, using a pencil. Do many sketches or rough drafts. Remember to create a design for the base. 4. Then, decide how your Pony will be painted. Will it be realistic or abstract? Will you add attachments and decorations? Will you add some special details to the base? 5. 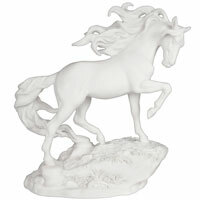 Now, gather all of your supplies so that you are ready to color, paint and decorate your Painted Pony. Colored pencil works well on any type of paper. 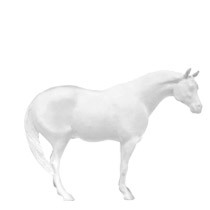 If you would like to use water colors, you may want to transfer your Painted Pony outline to water color paper. 6. Remember you are working very small, so find small brushes made for painting with acrylic or oil paints. Acrylic paint is water soluble, so you will need CLEAN water as you paint to clean your brushes. Always keep a towel and/or paper towels to wipe off your brushes and any accidents that may happen! 7. Begin by coloring or painting your Pony, right over your pencil sketch. Some artists erase these lines if they are using light colored pencils. If you are using oil paint, you can paint right over any lines. 8. Take your time as you bring your Painted Pony to life. Don’t be afraid to make changes to your Painted Pony, as you go. This is all part of the process and part of the joy of painting or coloring. 9. 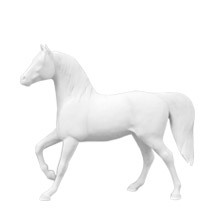 When your Painted Pony is dry, you may add the final decorations and details such as feathers, beads, leather, string, etc. 10. Remember to give your Painted Pony an appropriate title. Many times, the titles and the stories are as important as the Painted Ponies themselves. Congratulations! You have created a GREAT work of art! Now take pictures and send it in to The Trail of Painted Ponies. Maybe YOURS will be the next figurine! To purchase a Triumphant Paint Your Own Pony, Click Here. 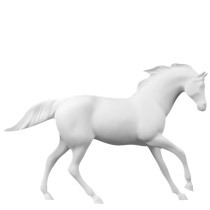 Download your favorite Painted Pony forms below.